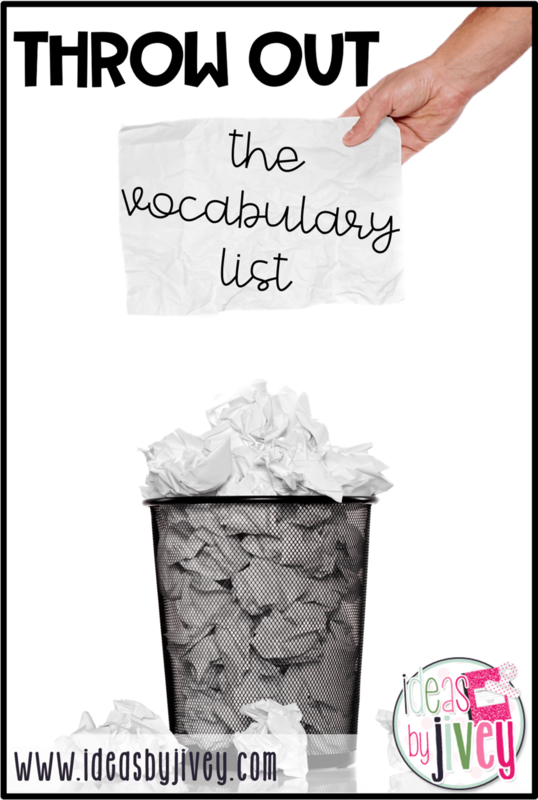 As you learned in my previous post, it’s time to throw the vocabulary list OUT! 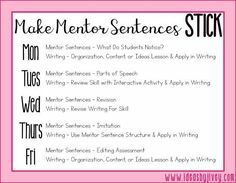 Students need the words in context, and they need practice with the words over the course of the year- not just the week you introduce them. 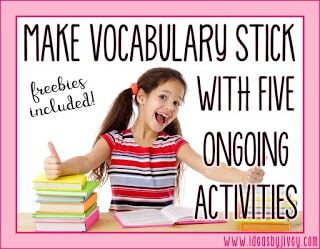 This post is going to give you five ways you can keep vocabulary instruction alive all year long! Yes, that’s right. INTERACTIVE. That means it doesn’t stay the same all year. 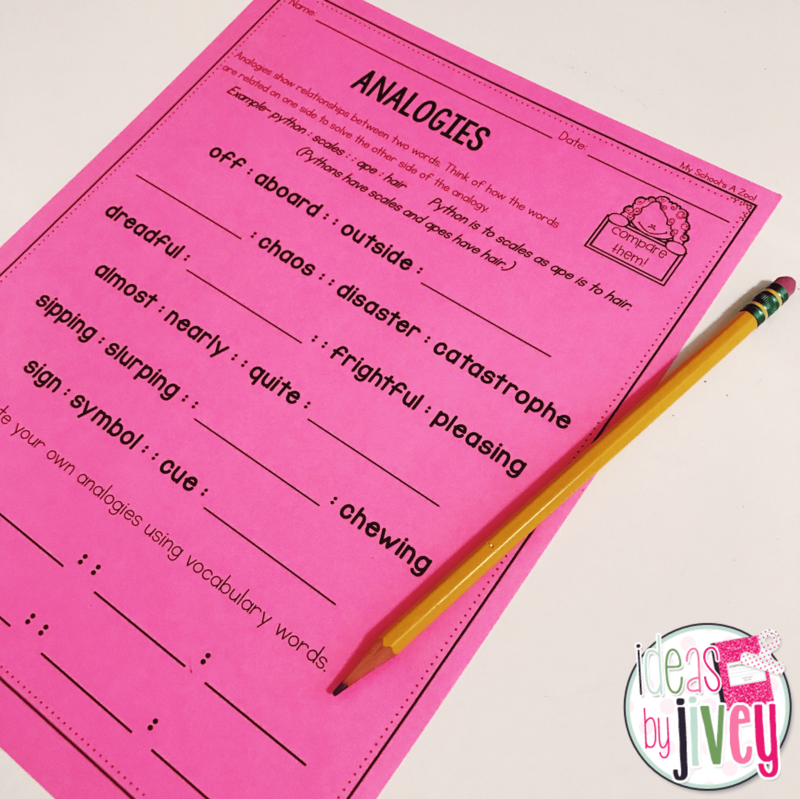 Get student input on how to arrange, and later, rearrange, the words. Words could be sorted by parts of speech. 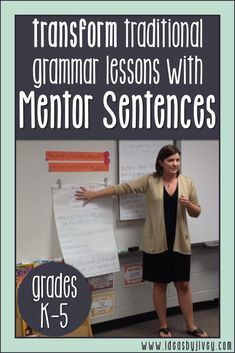 They could be placed on individual strips with room under the words to allow for lists of synonyms. You could even allow students to create illustrations to be displayed with the words. 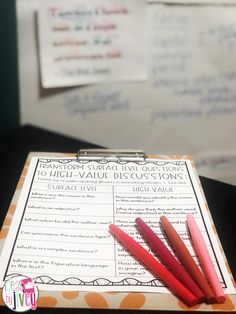 I’m sure students will even have their own ideas of how to sort them! 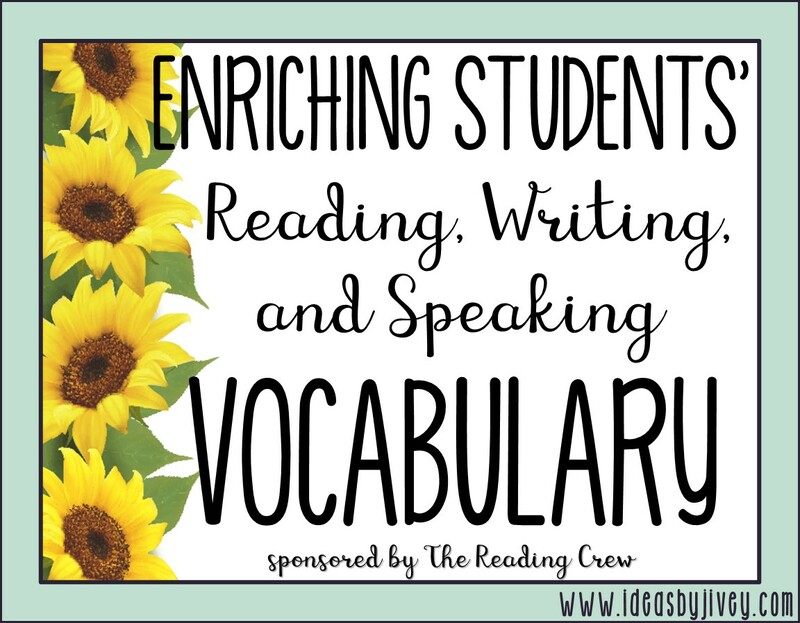 In order to use the vocabulary words well, students need to know HOW to use them in a sentence. 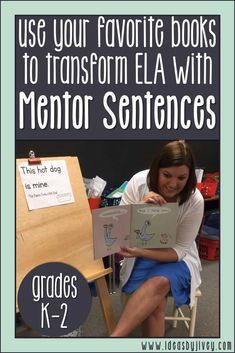 Determining the function (or part of speech) will help students learn to use them in a sentence. 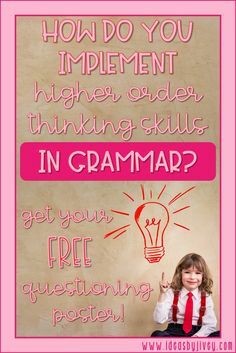 Model for students how to look for patterns to determine the function of the word by looking at suffixes (-ed and -ing often show verb tense, and -ly often indicates an adverb). 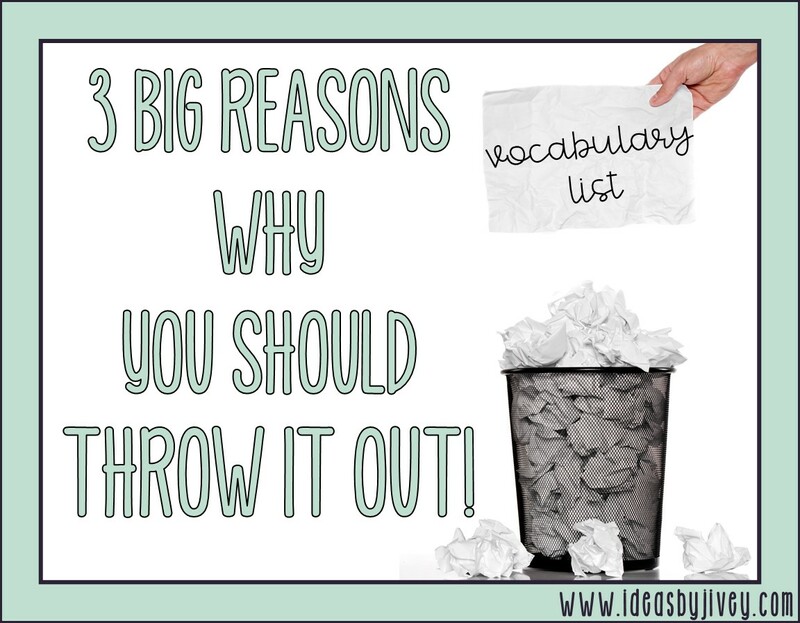 It might even help to replace the word with another verb or noun to check it. 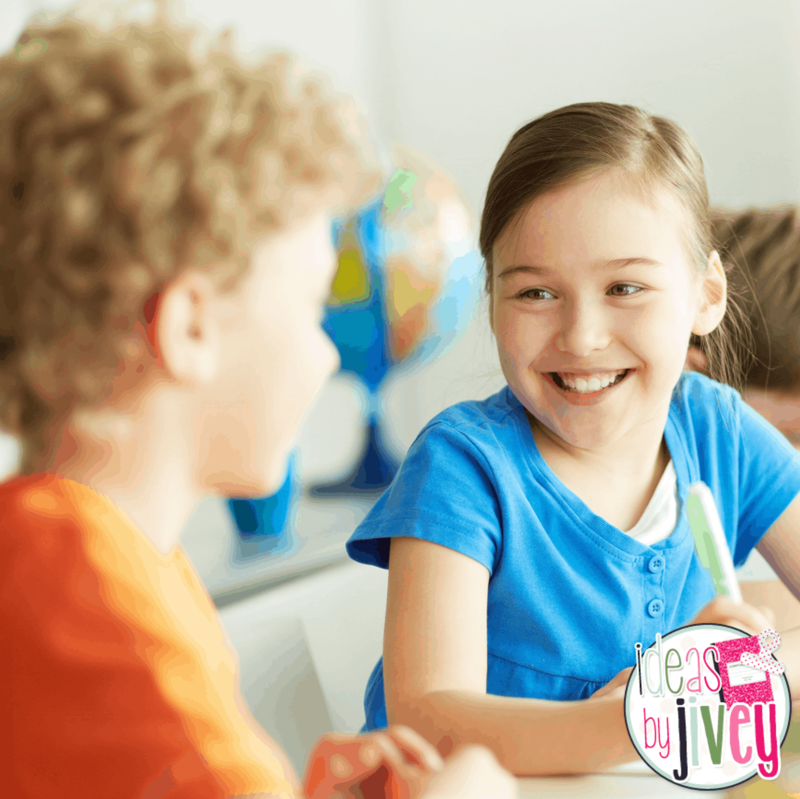 “Warm up” the students by discussing a topic the words fall under when applicable (for example, if the book is about bats… ask, “What do you know about bats?”) Show the vocabulary words and allow them to share what they know about how the words relate to bats. Get students moving!! Allow students to act out vocabulary words (old and new) by asking them, “What does it look like when you…?” Another fun game resembles the game HedBanz. 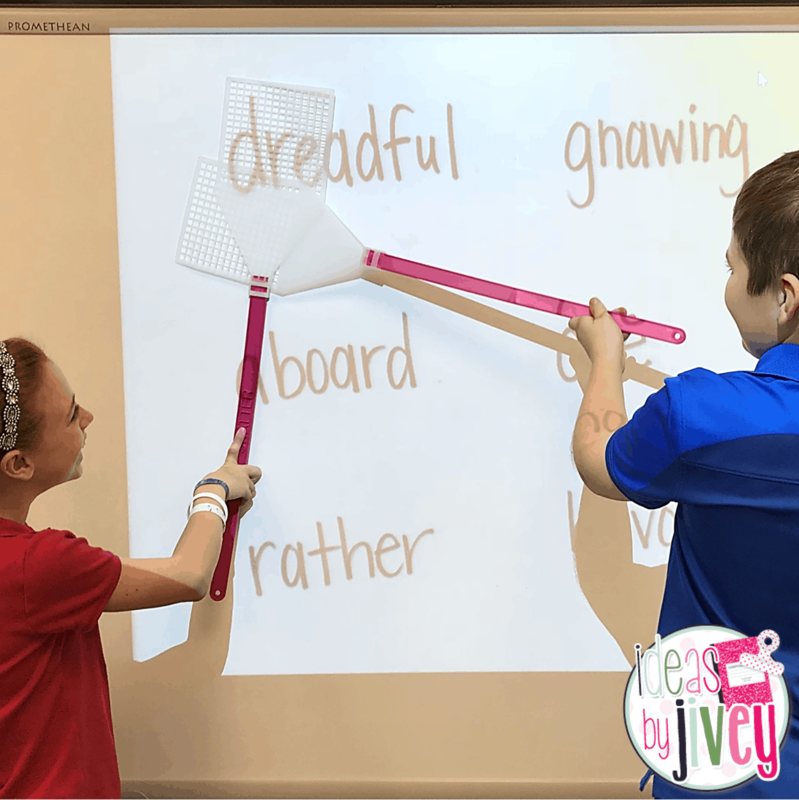 Write the word on a strip of paper long enough to go around their head, stapled (like a crown) – students should not see the word on their head. Students should ask questions about their word to others to help them guess the word that is on their crown. 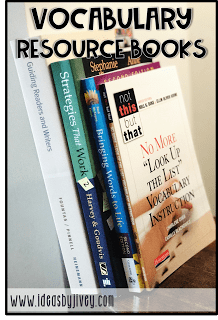 I had the privilege of hearing Robert Marzano present on his six step process several years ago, and it was a nice way to change up how I had been teaching vocabulary. My kids showed a lot of growth, especially in content-area words. This process is not something you want to do for EVERY word (as in all six steps every time) – you don’t have the time, and the kids would get bored FAST. Read this great article that explains Marzano’s Six Step Process in more detail. 3. 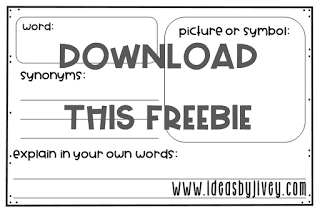 Ask students to construct a picture, symbol, or graphic representing the word. 4. 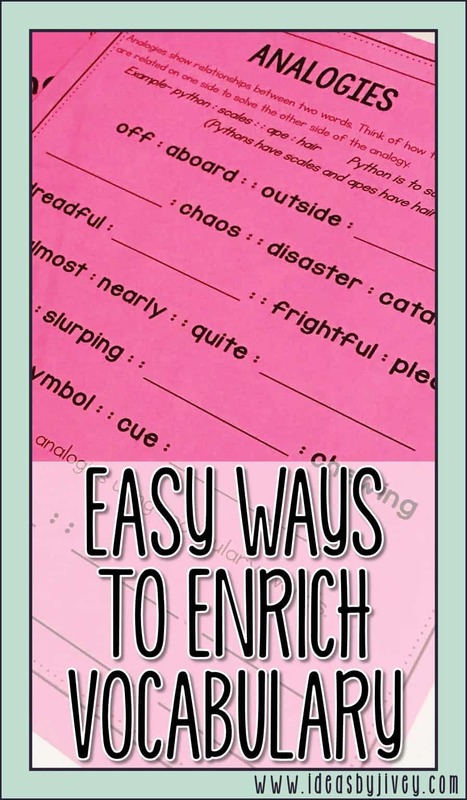 Engage students periodically in activities that help them add to their knowledge of the terms. 5. 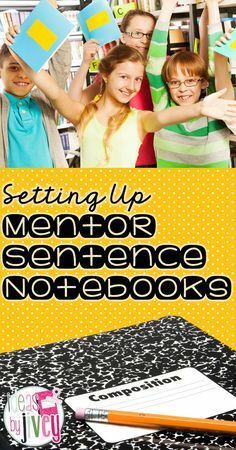 Ask students to discuss the terms with one another. 6. 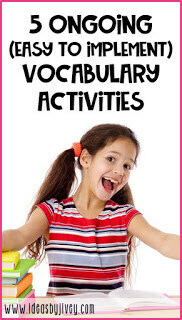 Play games periodically that allow them to play with terms. 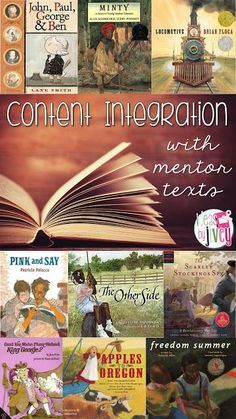 Interested in an entire year of vocabulary taught through mentor texts? 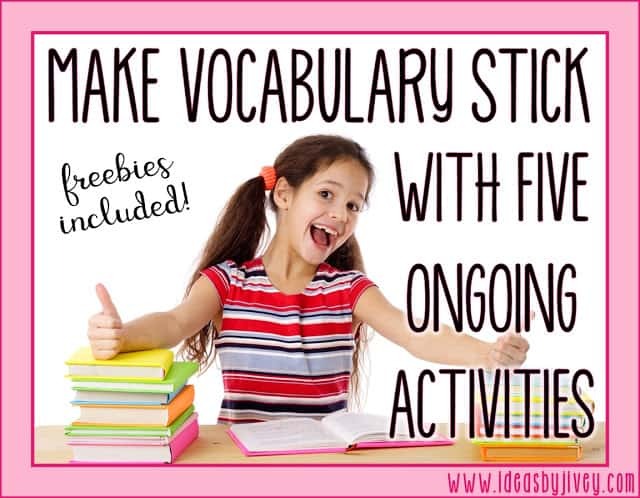 Visit the vocabulary category in my TpT store!